Almost 2 years after the first prototype, the DIY Ring kit goes global. After 3 car trips, happy tears and over 3 stressful hours at the post office yesterday, hundreds of DIY Ring Kits have now been posted! Be sure to get one for yourself (or a loved one) via the Architact Collective website. Our website also contains lots of useful information and awesome images. 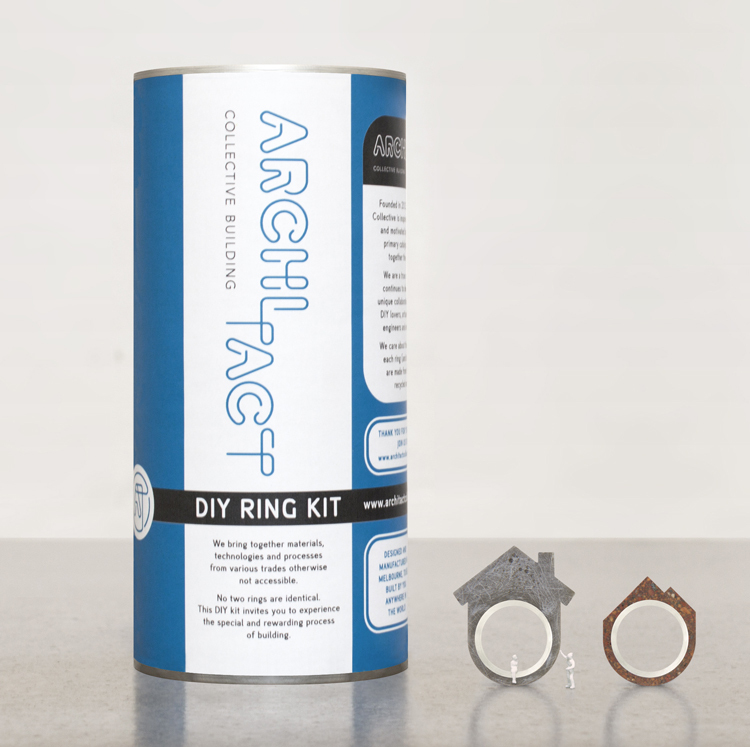 Grounded within the architecture and construction industry, the DIY Ring kit brings together materials, knowledge and technologies from various trades otherwise not accessible. This is the world’s first concrete or brick ring that has undergone refinement in order to bring this incredible process into your hands as a DIY kit. We love to work with our hands and create products that provide a deep connection to the things that keep us alive and happy. Our DIY kits transfer the enjoyable process of building and allow an appreciation for the items and systems that create our products. Through DIY we seek to merge the disparate roles of maker and owner. We believe that unique design has the ability to better our quality of life and it is for this reason that we are motivated to do what we do. 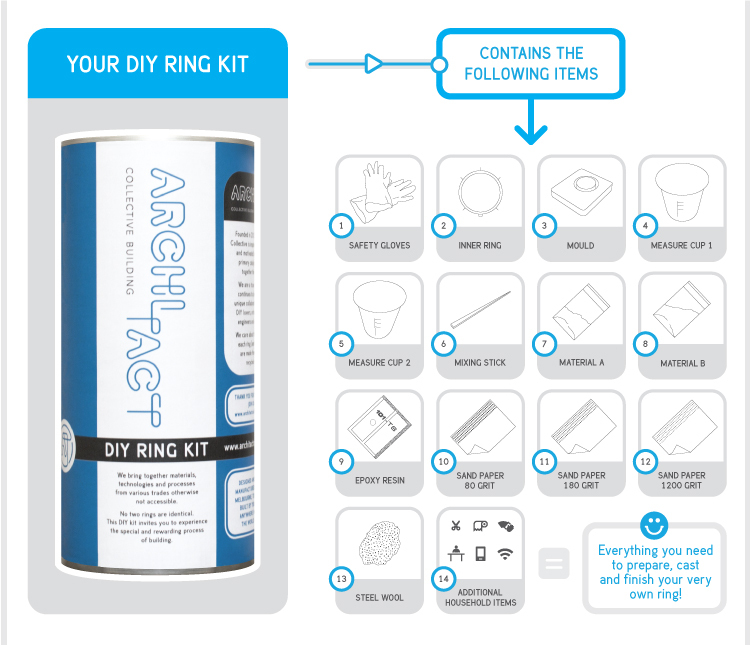 Head over to our website to get your hands on your very own DIY Ring Kit. When you create your ring be sure to send some lovely images to hi@architactcollective.com or post to @architact via Twitter or @architactcollective via Instagram. I cant wait to see your creations!